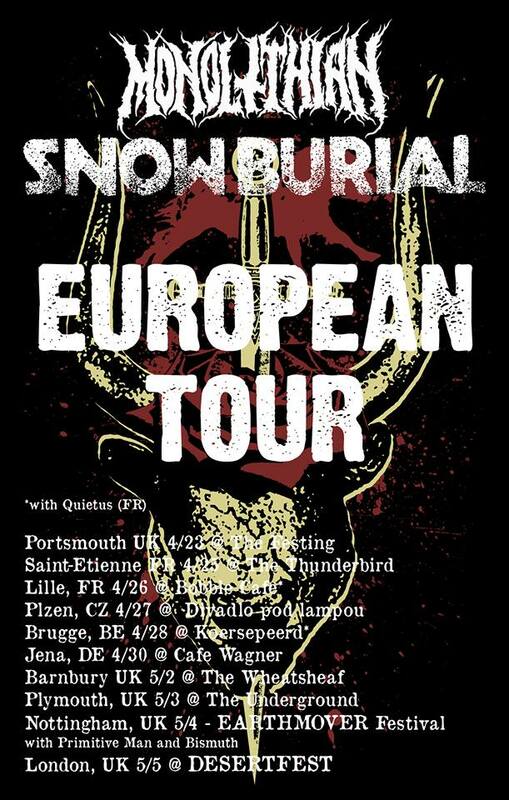 This April and May, Chicago post-metallers Snow Burial will embark on an eleven-date European tour with Cornwall doom outfit Monolithian. 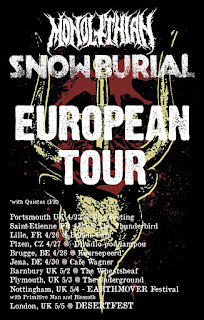 Beginning in the United Kingdom on April 23rd, circling through the continent, and closing with London's acclaimed Desertfest on May 5th, this tour will be Snow Burial's second trip across the pond. The band is also excited to be part of Chicago's Doomed & Stoned Festival on June 1st, 2018. Snow Burial recorded at the famed Electrical Audio in early 2018, crafting a split 7-inch with Iowa City’s doom maestros Aseethe. The tapes and vinyl will be released courtesy of Hand Of Death Records.